These sterling silver earrings have a design inspired by the ocean. 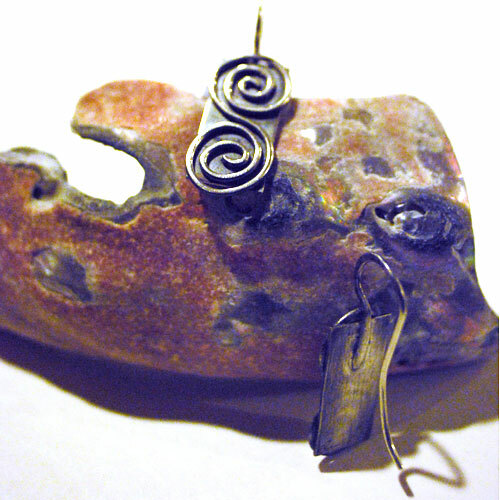 The sterling silver wire is hand formed, and fused onto the back. Each pair is a one of a kind, hand made item.